This is how Franciscan Br. Octavio Duran describes soon-to-be canonized Archbishop Oscar Romero. Br. 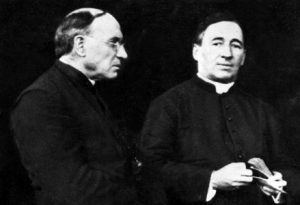 Octavio personally knew Bishop Romeo, often interviewing him at the Catholic Radio Station in San Salvador, accompanying him in pastoral visits, and documenting the Bishop’s life and work in photographs. In addition to this episode, you’ll be able to read more about Br. Octavio’s time and work with the soon to be canonized Archbishop in Romero: Saint for the World found in our September/October issue of Maryknoll Magazine. Brother Octavio is a dear friend of Maryknoll and we’re honored to have had him on “Among the People” and hope you enjoy his unique story and tales of Bishop Romero.